Initech Appraisals is a full-service provider of residential property valuation products ranging from specialized consulting services to appraisal reports for lending or market analysis. 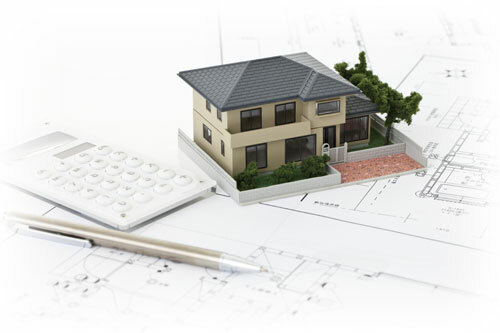 Our reports and services are tailored to meet client-specific requirements which range from lending, construction, buying/selling and estate planning. For a full list of services please see below or contact our team directly. A home is often the single, largest financial asset one can own. Knowing the value and working with an appraisal expert is important when making the right financial decisions. Once the site has been inspected, an appraiser uses two or three approaches to determining the value of real property: a cost approach, a sales comparison and, in the case of a rental property, an income approach. It is important to remember that the appraiser is not a home inspector. The most commonly used approach in a residential appraisal is the sales comparison approach. Appraisers will work in areas they are competent in. They understand the value of certain features to the residents of that area. They know the traffic patterns, the school zones, the busy throughways; and they use this information to determine which attributes of a property will make a difference in the value. Then, the appraiser researches recent sales in the vicinity and finds properties which are ”comparable” to the subject being appraised. The sales prices of these properties are used as a basis to begin the sales comparison approach. In the case of income producing properties – rental houses for example – the appraiser may also use a third approach called the cost approach to support value to the property. In this case, the amount of income the property produces is used to arrive at the current value of those revenues over the foreseeable future. Combining information from all approaches, the appraiser is then ready to stipulate an opinion of market value for the subject property. It is important to note that the appraisal is the best indication of market value based on historical data of closed sales. It may not always be the final sales price. There are always mitigating factors such as seller motivation, urgency or ”bidding wars” that may adjust the final price up or down.